Hand-dyed French leavers lace, satin elastic strapping. A custom halter bra inspired by the Cassiopeia range from the 2016 ready-to-wear collection. 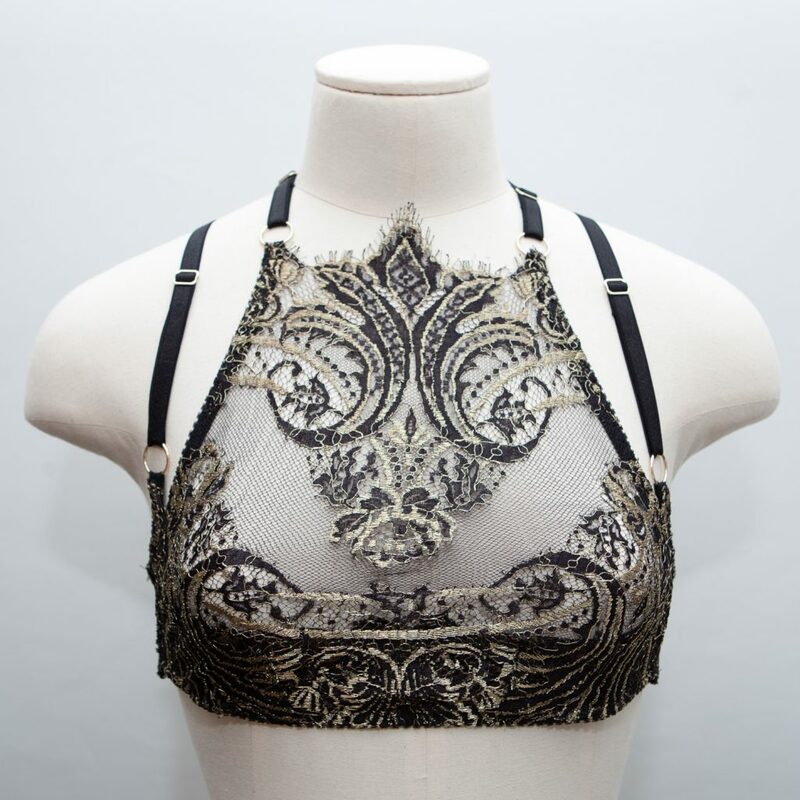 Pattern matched lace is used in a quarter cup bra structure with a halter overlay. The bra has a signature adjustable band with gold plated components. © Copyright Karolina Laskowska 2017. All Rights Reserved.